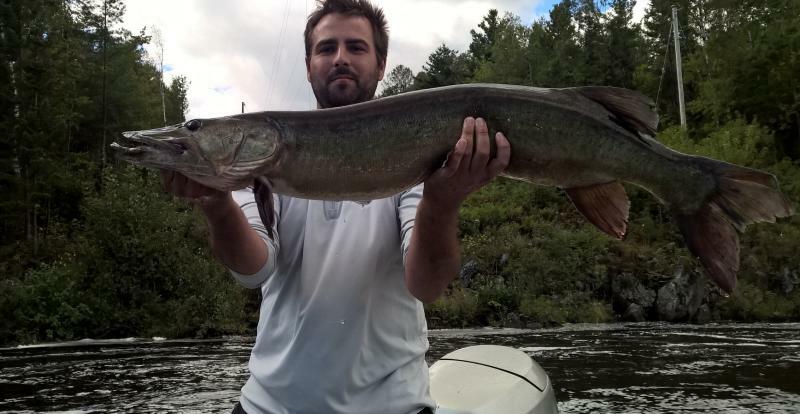 Services provided will include the use of custom musky rods & lures. Clean, comfortable, and safe transportation to & from docks and spots, in a 17 1/2' Crestliner with a quiet 90 HP Honda 4-stroke engine. Hummingbird electronics with downscan and side imaging. New for 2019 I will be running a 18' G3 CCJ tunneled out jet drive jon, able to get into the skinniest waters in mt area, this will put you in position to contact some truly wild fish, and leave pressured waters behind. 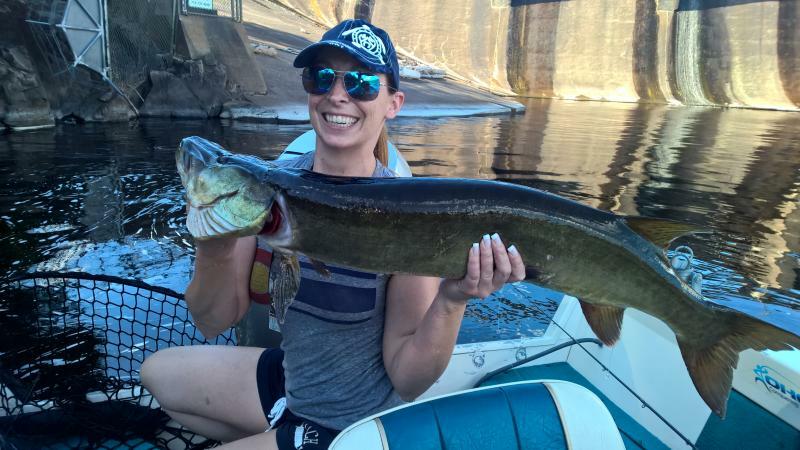 Any rivers anglers should know I am one of the only guys offering these kinds of trips, these are the trips you want to be on in 2019. My boat will always have fully charged batteries ready for action, a cooler filled with the beverage of your choice and a full tank of gas. Also included is the use of any and all of my musky baits. Which include: shallow to deep, custom to store bought, and the very best leaders, including sucker harnesses. For fall sucker trips, I will provide all minnows, harnesses, and gear. For night fishing, head lamps and bug spray are included. My full day is an all day deal with an optional lunch out at one of our favorite local spots on the lake. A good run to check plenty of spots and cover a lot of water searching for your trophy. Cost is $400 and is limited to the home waters of Lake Wissota, Chippewa River, and Holcombe Flowage. An 8 hour run on some of the best waters in Northwestern Wisconsin. 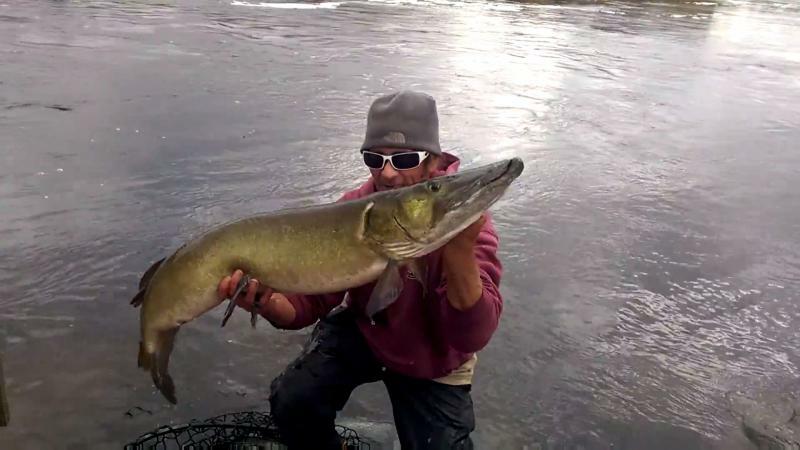 Fishing lots of high percentage spots and proven producers of giants; fish over 50" are always present. Cost is $425 and includes: The Flambeau river, Chippewa riverand many lakes in Burnett, Washburn,Rusk, Polk, and Chippewa counties. This is truly the best time of year to hook up with a trophy fish. We will use custom made and tested harnesses that are the best in the industry. Multiple catches in the same day are possible. Full or half days are available - Call for pricing and locations! What's the best way to reach me? 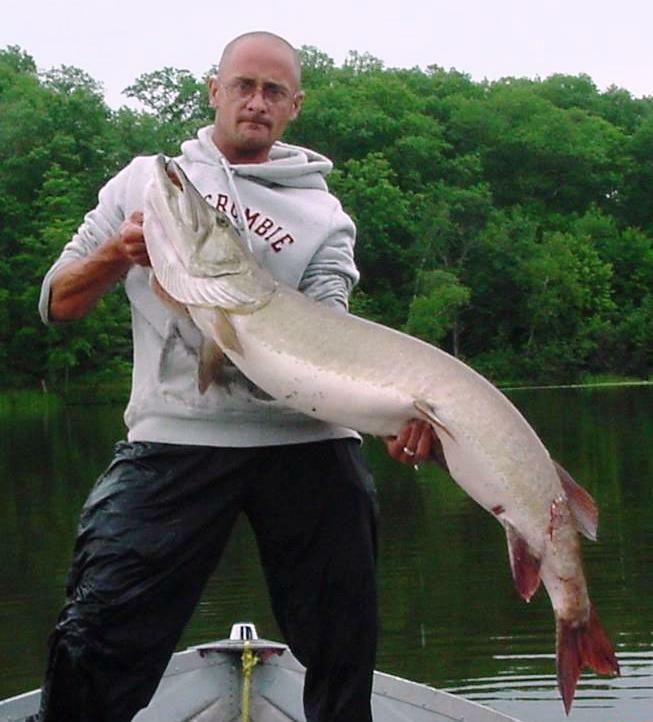 For more specific information on a future date, email me at muskyshane@yahoo.com to start the process. If you are ready to go right now, call me at 715-559-6181 and feel free to leave a message. As I said on the home page, I'm either working or fishing, but I will answer my phone quite often. Polarized Sunglasses are highly recommended. The Most Important Thing You Can Bring Is A Positive Attitude!